Enough people have pledged to makes this event possible. General tickets now available! Click here to send us an email if you have any queries. To encourage sharing and collaboration between birth professionals and the women they serve. The event is open to all birthing professionals and the interested public. The conference will open at 18h00 on Friday the 30th of October with an evening programme, and continue for the whole day on Saturday the 31st of October with various workshops, films and talks, panel discussions, and some birth theatre sports There will be opportunities for discussion, questions and debate. Speakers include local professors, doctors, midwives, doulas, childbirth educators, childbirth activists, health professionals, lactation consultants and mothers. Each panel will consist of five to six speakers presenting varied perspectives on a topic, followed by interactive discussion, questions and debate with audience members. Panel topics will focus on birthing experiences and stories from mothers as well as experienced midwives working in various sectors, the rising caesarean section rate in South Africa, and midwifery and midwifery education. 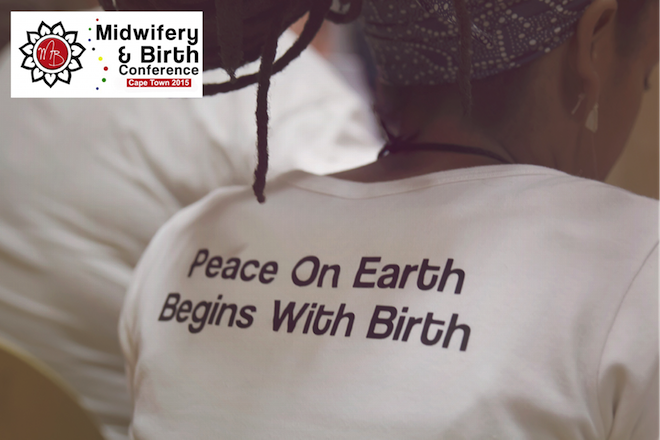 Workshops and talks include skills in water birth, yoga, connecting with the unborn child, neuroscience in the newborn, abortion doulas, and abuse in the labour ward – amongst many others. Meals, snacks and beverages will be available for sale at the venue. Click here to see full programme.